This mystery novel is laced with a terrifying nail-biting tension and characters that make your skin crawl. The Wild Rose is an old Irish tale of a man courting a woman and killing her while they are out together. It is what inspired the song by Nick Cave and now also a killer in Enniskerry, Ireland. Emma Frost is supposed to be on a relaxing and romantic vacation in Ireland with her boyfriend, when they find the dead body of a woman in the river, just like in the old tale. The small town of Enniskerry, where Emma and Morten are staying, is shocked by this murder, mostly by the secrets it threatens to expose. When another woman is found in the river with a rose between her teeth, it becomes suddenly very serious for Emma. Before long, she is plunged into a frantic chase for this killer, while she and Morten attempt to solve the mysterious riddles of the town’s painful past in this pulse-racing novel by Willow Rose. 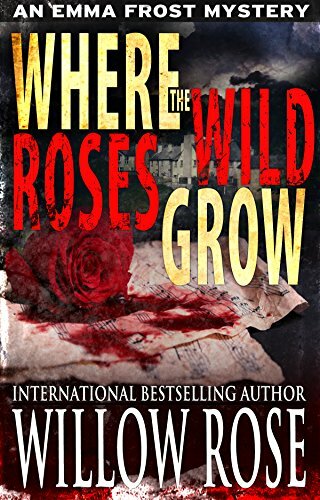 -Where the Wild Roses Grow is another bone-chilling Mystery in Willow Rose's Amazon bestselling series about the author Emma Frost.